The new Elcometer 456 Coating Thickness Gauge sets new standards making measuring dry film thickness faster, reliable and accurate; helping you to become more efficient. 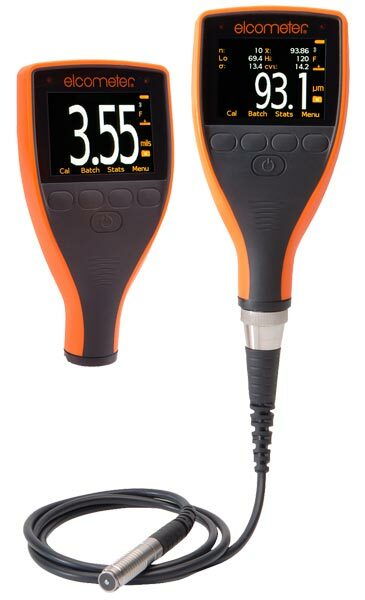 The Elcometer 456 Coating Thickness Gauge is available in four different models: E, B, S and T. Each gauge provides the user with increasing functionality - from the entry level Elcometer 456 E, to the top of the range Elcometer 456 T, with memory, alpha-numeric batching and BluetoothÂ® communication. Integral coating thickness gauges are ideal for single handed operation as the wide footprint of the Bigfootâ�¢ internal probe provides greater stability during measurement - allowing for consistent, repeatable and accurate results. Our Inspection Equipment measure coating thickness, climate, porosity & adhesion as well as a wide range of physical test parameters required for the formulation of coatings.